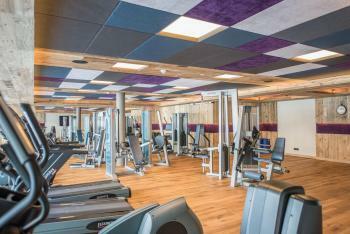 In addition to our many spa services, sauna, swimming pool and massages, we have set up a fitness room for our guests. 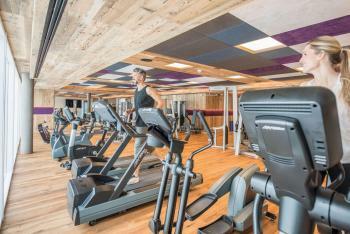 Here you can find Life-Fitness equipment where you can exercise specific muscle groups. 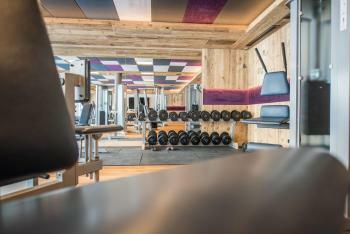 The treadmill, ergometers, work-out stations, and of course lots of dumbbells and weights are all there for you to use. Our fitness room is available for your personal training program. Also, we regularly provide supervised training in which our specialists can give useful tips and valuable suggestions for appropriate and dramatic muscle growth. 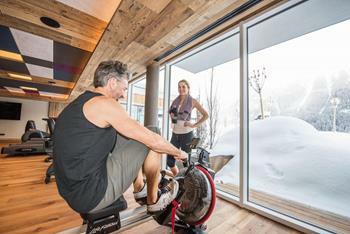 In addition, we of course also have an extensive outdoor exercise program with numerous guided hikes – including snowshoe hikes in the winter. Accordingly, our guests can borrow the necessary equipment, such as walking sticks and backpacks!